The only iPhone software which reliably works.. Excellent product at a competitive price. 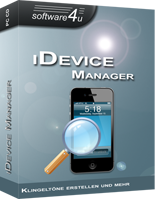 The new iManager App is available! Copy photos, videos and contacts without iTunes to your iPhone and iPad from your computer with the new iManager App and the iDevice Manager. The video tutorials show step by step how to drag and drop data at home or in the office. The tutorials apply to all Apple iOS devices like iPad and iPhone. Required settings in Windows Defender Firewall to open a stable connection between iManager App and iDevice Manager. 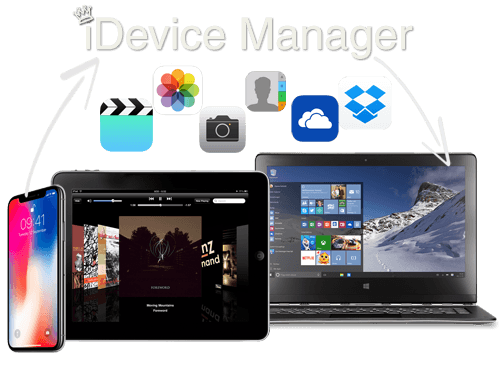 The iDevice Manager - formerly iPhone Explorer - helps to transfer music, photos, movies, SMS, WhatsApp messages and ringtones from iPhone, iPod Touch and iPad in an easy way to your computer. With an easy to use GUI, can you also save, modify and delete contacts on your iPhone. With the iDevice Manager is it possible to use the iPad and iPhone as an Solid Disk to transfer each files. This is a possiblity to take data from home into the office, without any other data storage. 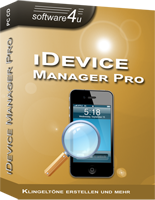 If you are a power user than upgrade the iDevice Manager to our iDevice Manager Pro-Edition. The extended version is not limited to use, instead of the Free-Edition. Create unlimited ringtones from MP3 and M4A files, backup your SMS and WhatsApp messages.